Google on Tuesday announced an update to Google News specifically aimed at tablets. The update appears to be specifically geared at Android and iOS tablets, and the company specifically tells Nexus 7, Nexus 10, and iPad owners to check out the changes at news.google.com (US-only for now, rollout over the next few days). 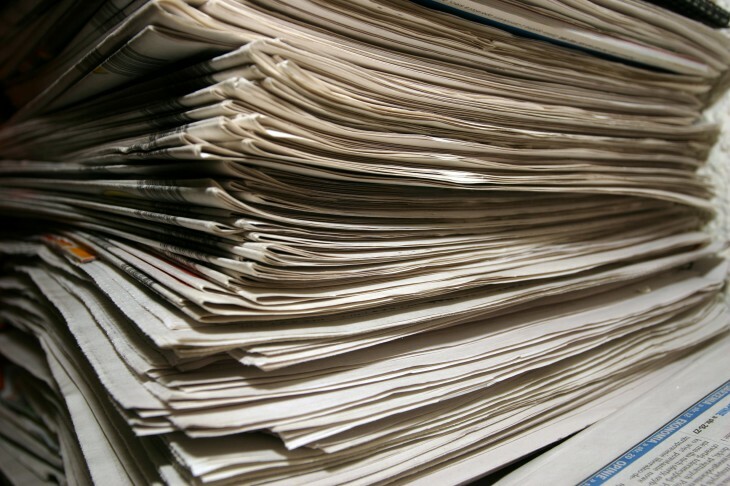 Google also took the opportunity to announce that Google News now sends 6 billion page views on a monthly basis. As the computing world starts to adopt tablets, the company wants to make sure it can keep up, and if you run a site that gets indexed by the service, you’ll likely benefit by these updates. 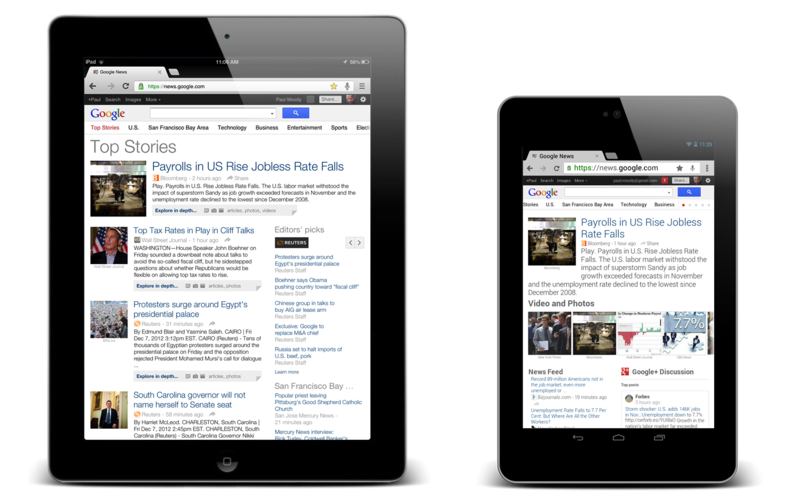 Better Google News for tablets means more page views for you. So, what’s new? First off, Google News now lets you find new articles, news sources, and even topics of interest with added gestures. You can swipe horizontally between sections or tap “Explore in depth” to see multiple articles and other info related to a particular story. Yet all this touching means that you may end up navigating somewhere you don’t want to. As such, Google has added more breathing room between articles, so the site should not only look better, but it should also be easier to navigate with your fingers. Google implies the update is meant to make swiping through the service remind you of the familiar feeling of flipping through a favorite magazine or newspaper. While that’s really unlikely, there’s no doubt that improved touch support is going to be a welcome addition for tablet users. It’s worth noting that while the new Google News for tablets supports Android and iOS tablets, something tells us that it probably still works on your BlackBerry PlayBook and HP TouchPad. Don’t expect everything to work as smoothly though; something tells us that Google didn’t bother testing on tablets other than its own and Apple’s.